EYOS Expeditions’ ice pilots, Expedition Leader Martin Enckell, and additional EYOS staff were thrilled to have the opportunity to work with the award-winning BBC team on Blue Planet II. Together, they provided support and assistance with permitting, polar logistics and operational support for Alucia’s three month, three voyage deployment to Antarctica. “Congratulations to BBC for capturing some of the most stunning imagery of our natural world on this expedition. That it was filmed under the most trying of circumstances in some of the most remote parts of the world only makes the result that much more impressive,” commented Ben Lyons, CEO of EYOS Expeditions. The Antarctic segments were filmed from the 56m M.V. 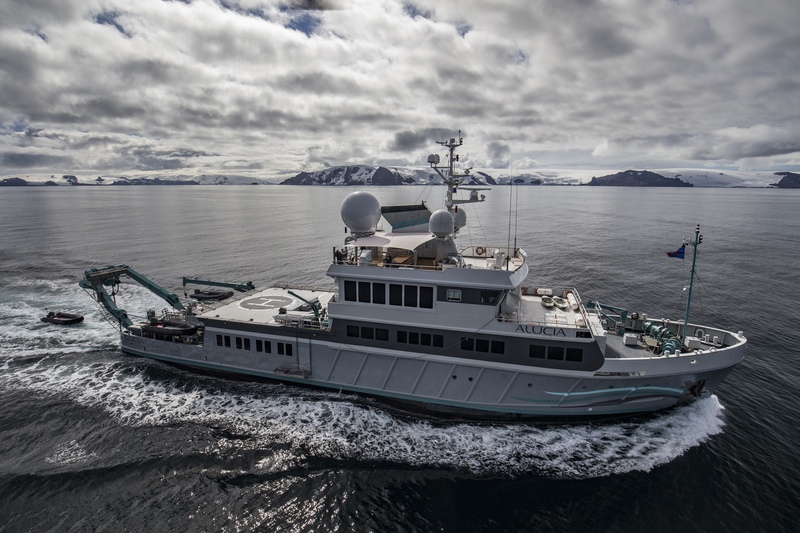 Alucia, a purpose built yacht of extraordinary capability including the latest in technical diving, filming and scientific research equipment. Two subs — the Triton 3300/3 and the Deep Rover 2 — are rated for a maximum depth of 1,000 meters. EYOS Expeditions staff has lead over 780 safe and successful voyages to Antarctica, and hundreds more to the Arctic and the world’s most remote places. McCallum added, “Our clients are people who want to get to the most remote parts of the planet in order to achieve their mission. Often it is to highlight the plight of our oceans and the threats to the world we live in. “For instance, just recently our Expedition Leader Justin Hofman captured an image of a seahorse with a cotton bud whilst on expedition in Borneo, highlighting the issue of marina plastic debris and earning him a place as a finalist in the Wildlife Photographer of the Year awards”.